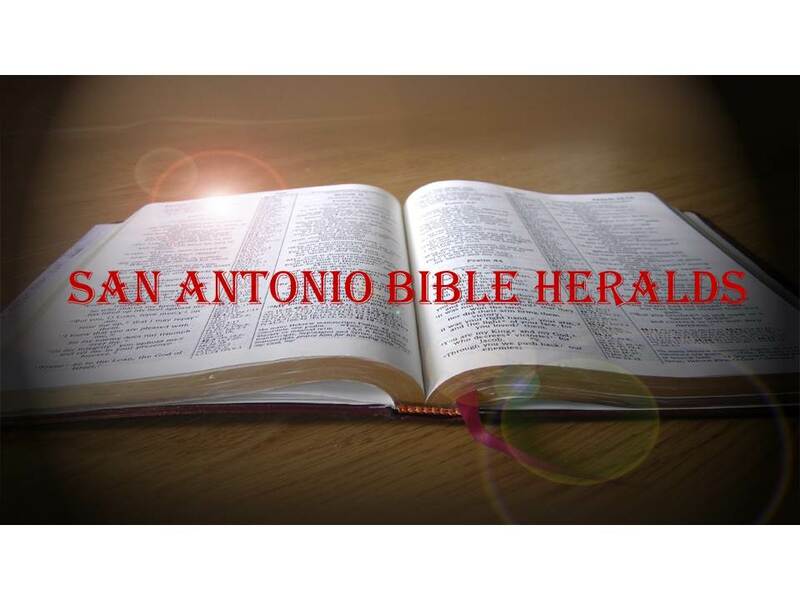 San Antonio Bible Heralds: Civility Indeed! As I write these things, there's an announcement in the homepage of my work site inviting people to an "Attitude and Gratitude, Civility Event." 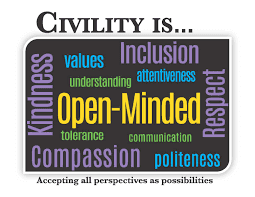 Working for the federal government as I do, it seems that the push for so-called civility is everywhere. But what I find most odd about all this push for civility and tolerance and the like, is that the more people push for such things, the worse society becomes at practicing them. Or perhaps it's the other way around; it may be that the reason there's such a push for it is that it is sorely needed, and even the reprobate among us are noticing. But whether it's a cause and effect matter or simply a reaction to what is already there, the undeniable truth is that our society is becoming coarser by the minute. Take a look at the television news reports (or, these days, streaming live on your computer, tablet or other device!) and it won't be long before you are regaled with some sort of violent confrontation between opposing parties, whether political, religious, civil or whatever the flavor of the day happens to be. If there's one thing that we as Christians should know, however, is that this is really nothing new and it certainly should not take us by surprise. In 1856, with the debate on slavery heating up to a fever pitch and with the Civil War looming on the horizon, Representative Patrick Brooks savagely beat Senator Charles Sumner with a cane on the floor of the capitol building for what he perceived was mocking of one of his kinsmen--the also Senator Andrew Butler (the latter had come under attack by Sumner for his stance on the Kansas-Nebraska debate). The episode came to be known as the "Caning of Charles Sumner." Thus, the "World's Greatest Deliberative Body" was the scene of a back alley brawl the likes of which can usually only be witnessed in that street setting. No, as the wise man said "there's nothing new under the sun." It is not the fact that boorish and perverse behavior takes place that shocks us. That has been going on since Cain killed Abel. Rather, it is the amazing brashness and lack of shame that we are witnessing that truly takes us aback. People are increasingly becoming open about their perversion. Just the other day I read an article in the Washington Times that decried the fact that some women were taking to Twitter to "celebrate" their abortions. Yes, you read that last line right: they are actually celebrating the fact that they had killed a human being. But how often do we celebrate the killing of others in war. War is a nasty, depraved thing and sometimes it's made necessary by even greater depravity. But the necessity of something should not make it a matter of celebration. Then there was another article in Entertainment Magazine titled “I Swear.” As you can imagine, the article had something to do with swearing of some sort of another. But what will leave you gasping for air if you read the article, is the fact that it is not some sort of benign take on swearing or anything the like. It is actually describing how pay television often makes free use of swearing and cursing and that, get ready, broadcast TV should get with the program and allow the same in its shows. How’s that for civility and tolerance? Why, then is it that the more society trips all over itself trying to be "civil" the less civil it becomes? Well, as one preacher once said, the scientist and the philosopher spend endless amounts of energy and resources trying to climb the mountain of life trying to find its significance, only to find when they reach the top that the theologian has been sitting there all along. Twenty centuries ago the apostle Paul provided the answer: "there is none good, no not one..." (Romans 3:12ff). The problem you see, is that man is attempting to impose from without a solution that can only be effective when applied from within. Only when the Spirit of God revives and renews the heart can true change come to the individual. All efforts at self-improvement are doomed to failure. It's no different than trying to treat cancer with an ice pack. If you use the wrong medicine, you get the wrong results! Without Christ, we're nothing more than dead men walking. The Great Physician has the proper cure and he has commissioned us to be the ones that take that cure to the ends of the earth (2 Corinthians 5:19). Many are doing that in distant lands under extremely difficult situations (we are grateful for those in China, Mexico, Ecuador, Nicaragua, South Asia and other lands where those who preach the gospel have gone). Others, like most of us, are in situations much more conducive to long-term, safe and peaceful relationships. But whether it is someone risking his or her life in the Middle East, or those of us who sit comfortably in our living rooms every night, we have the God-given opportunity to spread the good news of the kingdom. As Todd Freil likes to say when everything has been said that needs to be said "now go serve your King." Sometimes, because we lack true historical perspective, the intrusion of the lack of civility or general decline of public morality seems pretty awful. And it is genuinely awful. However, it's nothing new. (As you rightly note.) Men weave in and out of outward civility in this country or that or this civilization or that for periods of time, but man's depravity always lurks closely beneath the surface. As one who can remember back to the late 50's, I concur that our culture has taken a turn to crudeness, incivility and brutish behavior. But it's been worse elsewhere at other times. Man left to himself, without Christ, is prone to a downward spiral in his families, culture and overall civilization. Solid "A" on your post. David, I think that the thing that is surprising is the increasing brashness of people in engaging in their depraved behavior. Things that a scant 20 years ago were done in the dark, are not only being done out in the full light of day, but they are being celebrated by a very large portion of our population. The example of the cursing and the abortion celebration are but two of the multitude of sins that are being treated as though they were something to cheer about. You are right when you say that these have been done in similar fashion before. But it is the encroachment of such into our formerly polite society that is so shocking. Thanks for your comment.